PNY has been highly successful in releasing high-quality and stylish power banks that will provide extra battery hours to smartphones and keep them super charged throughout the day. The AK-13K Power Bank meets all the requirements needed for a smartphone with its stylish and compact design. The AK-13K power bank is an extremely good-looking power bank that features a slim rectangular design with an ergonomic body for easy grip and use. It is encased in smooth white outer casing that perfectly complements your smartphone’s look. It is extremely light weight weighing at 311 grams and is specially designed for mobile phones & digital devices. With its sleek and handy design, it is easy to carry around. The AK-13K charges up all your smartphone and mobile gadgets with powerful 13200 mAh battery capacity and high-quality Lithium-ion battery. It features dual USB output ports for simultaneous and quick charging of two devices at the same time. It comes with a specially designed flat cable for on-the-go charging, no matter where you are stationed. Functional built-in LED torch ensures there is light for nocturnal environments and practical use. 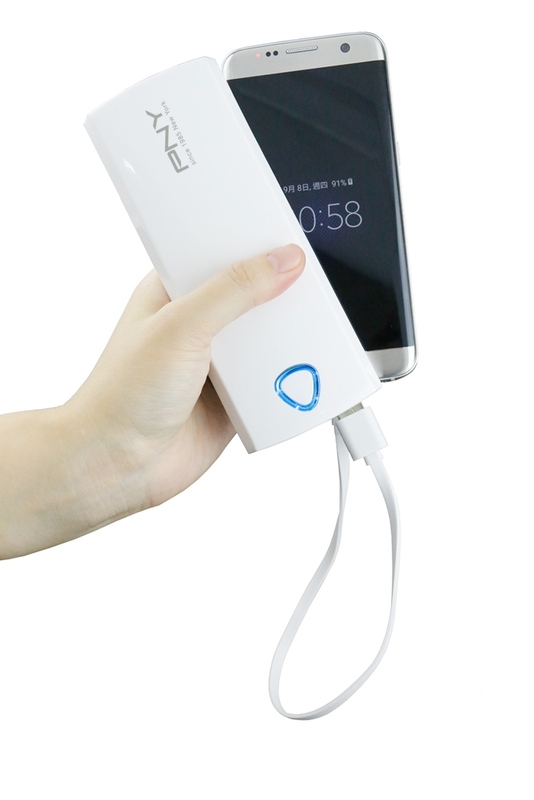 It is also equipped with a smart 4-level LED power indicator that indicates the battery capacity and charge level of the power bank. One charge level indicates 0-25%% power, two charge levels powers up 25-50%, three charge levels shows 50-75% charge status, four charge levels indicates a fully charged 100% status. The AK-13K is an efficient and low power consuming power bank that operates in low voltage with auto power off function which conserves power by switching off the power bank after the device has been fully charged. Apart from all these smart additions, it also provides a multitude of safety features which prevent over charging, over discharging, over current, short circuits, insulation safety, and stable voltage removing the anxiety of travelling with your favorite gadgets. The AK-13K Power Bank will be available in a pocket-friendly price range, with one year limited warranty, and can be purchased at local mobile gadget outlets and online stores.